The Brick Castle: My 1500th Post. It's taken me 5 years and 2 weeks to reach 1500 posts, so I guess that means I've averaged 300 posts a year. It would be disingenuous to assume they were all brilliant, so please let me take a moment to apologise for all the drivel and the posts that were crap. The blurry photos, the videos where I'd put the model together wrong or made up a phrase that made no sense whatsoever. The times I blagged it completely, the Twitter party where the product hadn't even arrived. The times I got the title wrong, or accidentally published a draft post which contained a few swear words and little else. The time Gary the cat wrote and published a post while I was on the school run. It wasn't even his best work. My youngest son makes us laugh daily. You aren't so blessed, but I've shared a few of his exploits. How we still laugh about his 3rd birthday, which provided his first starring role in a Blog Of The Day. Sadly the sharks are no longer with us, but bizarrely we do have the Mike The Knight helmet... 3 Year Old Boy Versus 3 Year Old Sharks. 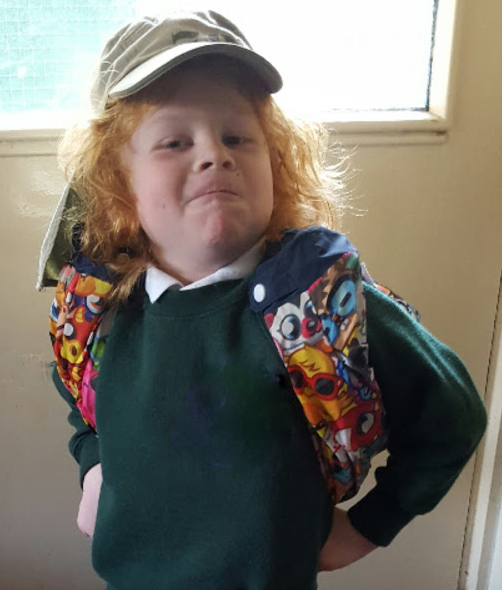 Sticking with my youngest and last year his enthusiasm for mountaineering and exploring expanded into school, and the boys bathroom... The Perils Of Living With An Amateur Mountaineer. Another of my children is the star of this post. Poor, poor boy... I Gave My Child An Unfortunate Name. Almost all of the kids were in one of my favourite review posts from when I was a newer blogger. It was funny mainly because the kids were really on form. There are more photobombs in this post than the rest of the blog put together. It also spent many months at the top of the Google image search for Wetherspoons Menu. It's a review, but mainly it's my lot, at the pub. Taking 6 kids to the pub for a meal. The household member who has raised the biggest smile or twenty is Gary. 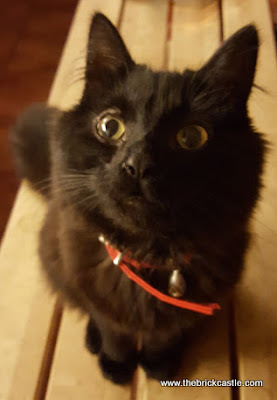 I genuinely have never liked cats, still don't really like cats, but was sent a free cat and didn't really have much choice but to look after him. I did what I usually do when something arrives at my door. I reviewed him. Unanimously my blogging friends think this was my finest hour...they're probably right. February 2016 I peaked. Gary The Cat Review. I massively underestimated how much he'd cost us. Thank you, you proved that the internet really is controlled by cats, and populated by nice people who drink a lot of Costa Coffee. The internet saved my cat. 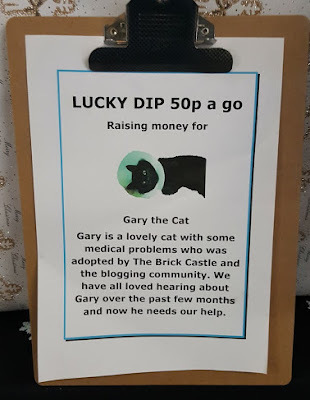 For some reason I can't seem to take writing about a cat seriously, so Gary's third entry, which is far more than he deserves and no doubt not his final post. His BlogOn Conference 'getting to know you' post... Gary's Not Going To BlogOn Linky. I'll finish with a couple of posts from 2013 about parenting, A reminder that those early starts do have a good side... Early Sunday Morning and that they might go on just a little longer than you expected... No Sleep Till They're How Old? If you've been here as long as I have, you deserve a medal. Thanks for reading and thanks for every comment and every message. I wouldn't be here without you. What a lovely post, and what a lovely, lovely person you are. I'm so glad you (and I!) took up blogging, or I might never have met you. Congrats on 1500 posts!